Easy solutions to complicated problems. Guys, let’s be friends. Hit me up. What device for cleaning up blood needs a grounded plug? 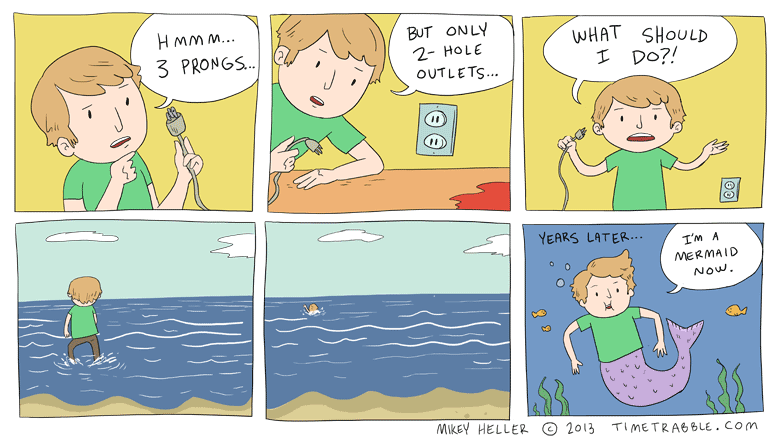 The “but” and “hole” really stick out to me in the second panel.